A US police officer ‘reassured’ a white woman ‘we only kill black people’ when he pulled her over. 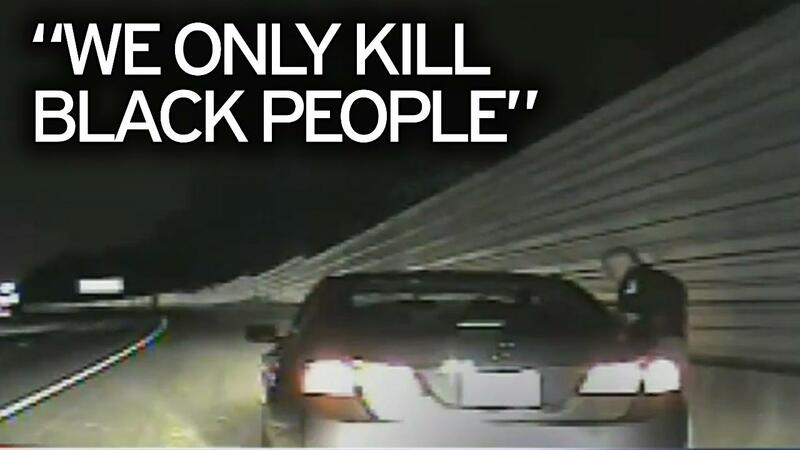 In dash-cam footage the Cobb County policeman can be heard telling the woman ‘remember, we only kill black people’ as she tells the officer she didn’t want to reach for her phone as she has seen videos of cops shooting motorists. The officer, who has now been identified as Lt. Greg Abbott, has been assigned to administrative duties pending the outcome of an internal investigation that was launched on Friday. Lt. Greg Abbott is a highly respected 28-year veteran of the Cobb County Police Department. He is cooperating with the department’s internal investigation and will continue to do so. His comments must be observed in their totality to understand their context. He was attempting to de-escalate a situation involving an uncooperative passenger. In context, his comments were clearly aimed at attempting to gain compliance by using the passenger’s own statements and reasoning to avoid making an arrest. 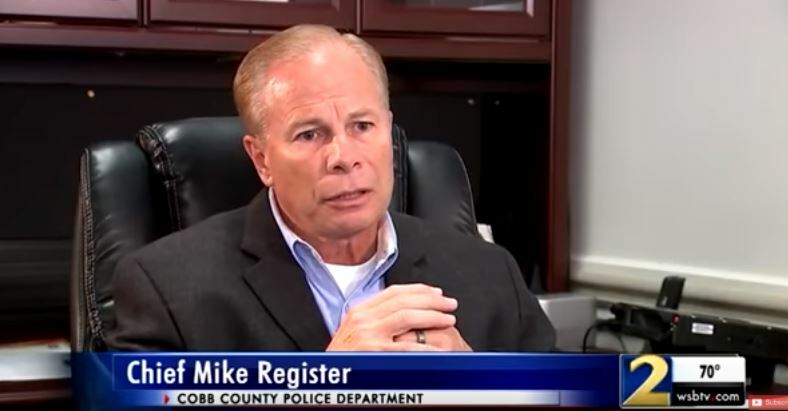 According to Cobb County Police Chief Mike Register the incident happened last year and he wasn’t aware of any other racial bias complaints against Abbott. We’re not making excuses. We’re meeting this head-on and we’re going to deal with it. We are going to keep going forward to make sure we, as a police department, service the community in a most professional way — all segments of the community. In response the department has set up a faith forum, discussion groups and changes to training.